Our eyes, in particular are more susceptible to lifestyle and environmental factors than any other organ. These factors can not only speed up the aging process and cause eye diseases associated with aging, but eyes can lose their brightness and look red and watery, and vision can become blurry. However, there are nutritional choices you can make to keep your eyes as healthy as possible. Here are a few key nutrients vital for healthy eyes. Carotenoids are phytonutrients that have powerful antioxidant properties crucial for eye health, and are the compounds found in foods that are responsible for their vibrant colors, such as the red in beets, and the bright orange of carrots and bell peppers. They are found in high concentrations in the eye tissue and function as antioxidants, neutralizing free radical damage and acting as filters, to protect the eyes from the harmful effects of sunlight. Carotenoids are a form of Vitamin A, and are found in leafy green vegetables, kiwi and red, orange, and yellow fruits and vegetables. Vitamin A is fat-soluble, and studies have found that the body cannot convert carotenes into Vitamin A without the presence of fat in the diet. Therefore, it's essential to include fats and oils along with carotenoid food sources in the diet to make sure the body gets enough of this nutrient and is able to absorb it. Beta carotene is one important carotenoid that is found in carrots, apricots, cantaloupe and sweet potatoes. Other carotenoids such as alpha-carotene, gamma carotene and beta-cryptoxanthin all help produce Vitamin A retinal. Retinal is the critical antioxidant in the eye tissue. Astaxanthin is another potent carotenoid essential for health eyes. Its high antioxidant content helps to prevent conditions like macular degeneration, blindness, and Alzheimer's disease. Wild salmon is an excellent source of astaxanthin - it is what gives wild salmon its vibrant pink color. Farmed salmon also contains this carotenoid, but in a synthetic form, which is far less potent and is derived from petrochemicals. In fact, wild salmon can contain up to 400 percent more astaxanthin than farmed salmon, as well as higher levels of omega-3 fatty acids. The long-chain omega-3 fatty acids EPA and DHA are critical for healthy vision and eye function. These fatty acids, found in oily fish such as salmon, mackerel and fresh tuna, are associated with helping to protect against the most common form of sight loss among older people. High concentrations of omega-3s have been found in the eye's retina, and research suggests that this nutrient is essential to eye health. Other antioxidants, including vitamins C and E help to protect the lens against damage by free radicals. The flavonoids found in dark-red-purple berries, fruits and vegetables is thought be especially protecting for the lens. 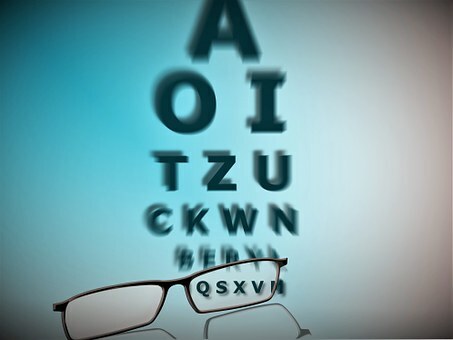 AMD is one of the most common degenerative eye diseases. The macular are the densely packed cells which allow us to see color and fine detail. When these are damaged or begin to break down, central vision is impaired. Researchers have found that the intake of antioxidant-rich food is very important in reducing the risk of AMD, and also cataracts. Studies show that supplementing the diet with vitamins C and E, beta carotene and zinc, reduces the risk of developing AMD. Egg yolks are particularly effective as they contain lutein and zeaxanthin which are responsible for the yellow pigment. These are the only antioxidants that are transported specifically to the macular. Lutein is also found in dark green vegetables such as broccoli and kale, but researchers calculate that lutein in eggs may be as much as 300 per cent more absorbable than that from vegetable sources.